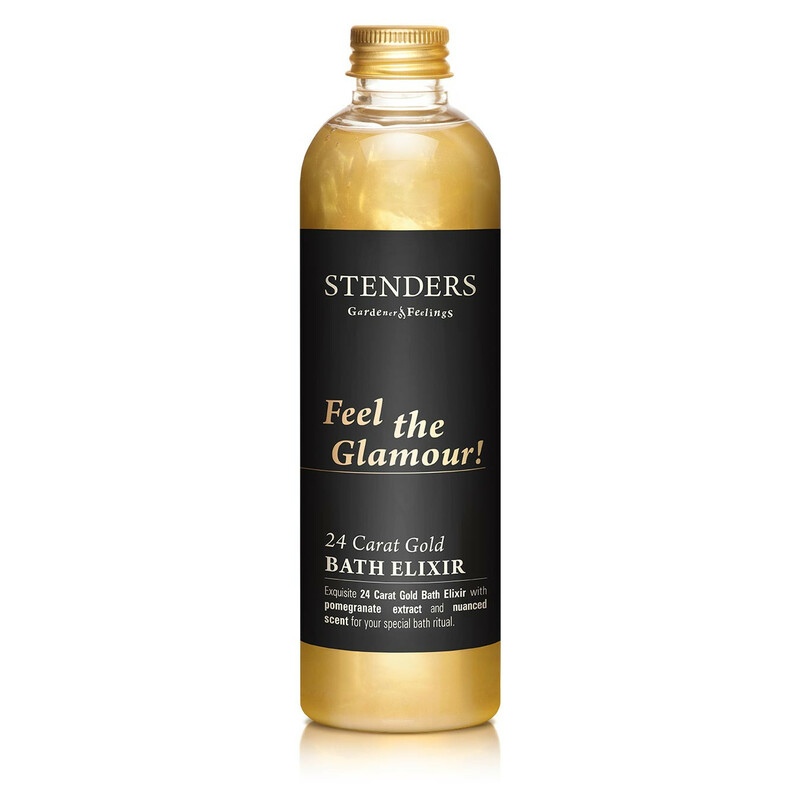 While you enjoy the aromatic foamy bathing in the Gold Bath Elixir, the 24 carat gold broken down to small particles easily penetrates the deepest skin layers to advance the youth of your skin. Already the wives of Ancient Egypt pharaohs knew the value of bathing in gold. Combination of modern technologies and natural treasures ensures even more efficient sensation of the power of natural treasures. Extract of pomegranates grown in Southern sun is a rich source of antioxidants supplementing the effect of the elixir. Your skin will be smooth and soft after bath. Exquisite designer fragrance will leave elegant bouquet of scent on your body. Discover the value of golden relaxation! Add approx. 40-50 ml of the Gold Bath Elixir to the water. Make some foam in the water. Suitable for care of all types of skin.